Edited by Sampath Parthasarathy . Cardiovascular disease in general and atherosclerosis in particular have been a topic of great interest for decades. During the later half of the past century, we noted great advances in defining steps involved in the biosynthesis of cholesterol to the discovery of lipoproteins. The latter led to the identification of key cell types which are involved in the uptake of the lipoproteins and specific cell membrane receptors that determine their entry. The lipid clinics played a major role in identifying the risk factors, particularly in identifying high plasma cholesterol and low HDL cholesterol, in the etiology of the disease. On the one hand, drugs such as statins, life style modulation in the form of reduced fat intake, decreased smoking, and increased physical activity, continue to show marked impact on the incidence of cardiovascular diseases. While on the other hand, the emerging understanding of the roles of chronic inflammation, diet, increases in the incidence of diabetes, and the environment, are factors that we need to be concerned about in the future. Although prevention is always better than cure, the beneficial roles of HDL are still only partly uncovered. In addition to promoting reverse cholesterol transport, it appears to influence inflammatory and oxidative pathways. The latter poses paradoxical and conflicting implications. While most non-clinical studies seem to stress its importance, the use of antioxidants in human clinical trials has not been encouraging to propose antioxidants as a therapeutic means. Caution should be exercised in making judgments as inflammatory and oxidative stress seem to go hand in hand. This monograph will bring out the state-of-the-art advances in the dynamics of cholesterol transport and will address several important issues that pertain to oxidative stress and inflammation. The book is divided into three major sections; the first section deals with the pathophysiology of atherosclerosis with emphasis on epigenetics and nutrigenomics. 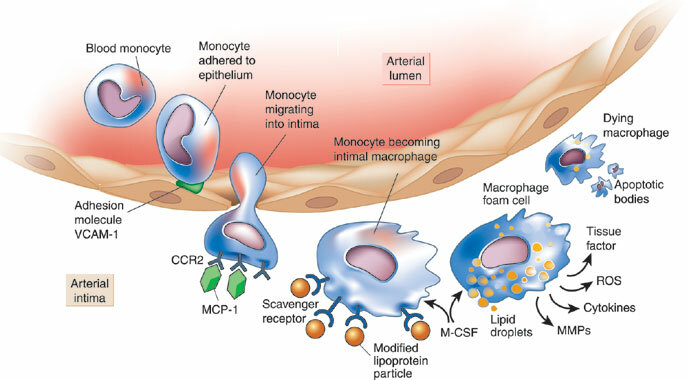 The second section discusses cholesterol influx-efflux pathways and inflammation and immune mechanisms of atherosclerosis. The last section discusses oxidative stress and vascular mechanisms involved in cardiovascular disease development. The book will offer insights into the roles of specific cytokines, inflammation, and oxidative stress in atherosclerosis and is intended for new researchers who are curious about atherosclerosis as well as for established senior researchers and clinicians who would be interested in novel findings that may link various aspects of the disease.